The Maximum City YouthScore was designed in partnership with the ORF-funded iCity project and with students from the 2017 Maximum City Summer Program. YouthScore is both an engagement tool and a metric to evaluate streets, places and neighbourhoods based on their youth friendliness. The tool uses quantitative and qualitative methods to assess criteria that youth identified as important features of safe, welcoming, sustainable, and enjoyable city places. 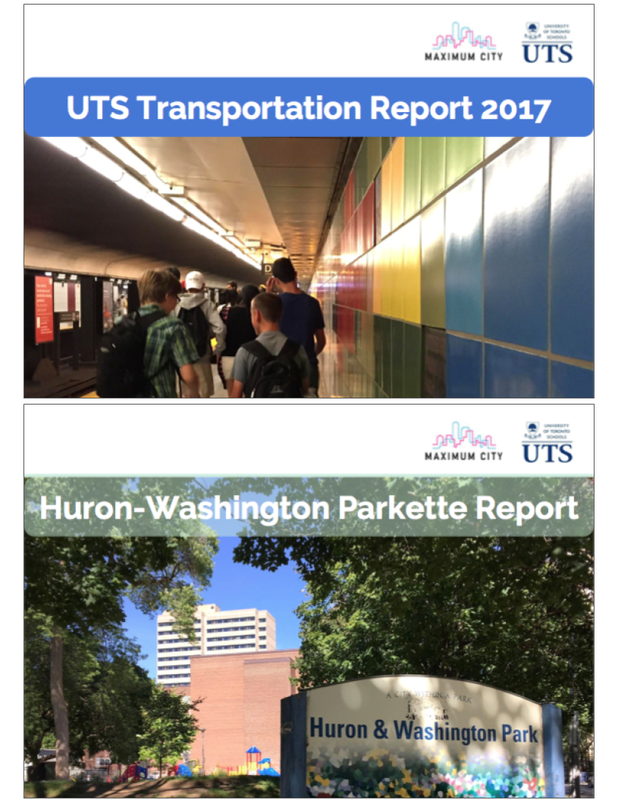 In 2016, Maximum City was engaged by the University of Toronto Schools (UTS) to conduct a neighbourhood survey & public life study of the Huron-Washington Parkette and a transportation survey of all staff and students. Both projects were part of the broader public consultation and community engagement plan for the UTS building project. The HWP survey and public life study measured how the parkette is currently being used by the surrounding community, and included training for senior UTS student researchers by Park People. The transportation survey measured the commuting habits and motivations of the entire school community, and results of the report were to be used in school discussions with the City, the neighbours, and the University in relationship to traffic, drop off, and parking plans. Maximum City was one of three lead consultants on the City of Toronto Planning Division’s Youth Engagement Strategy. 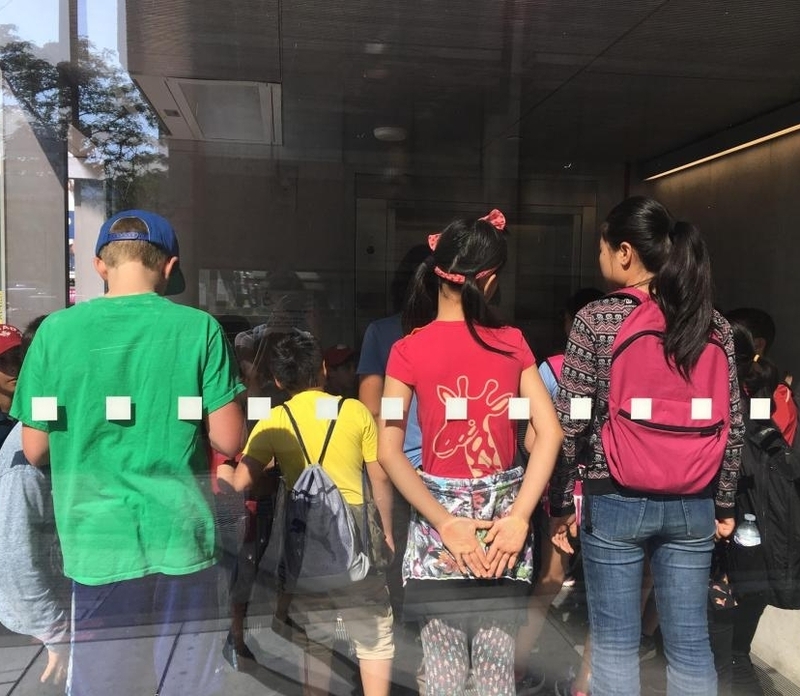 In the process of creating the strategy, Maximum City hired a team of 10 Youth Researchers who engaged nearly 500 youth aged 14–30 in over 15 Toronto neighbourhoods. Maximum City and the consultant team designed and delivered a series of presentations and facilitated workshops to youth, city staff, and other key stakeholders in order to come up with key recommendations to better involve youth in city-building and planning processes. Find out more about the YES. Download a copy of the YES. Maximum City is focused on teaching cities, creating citizens, and transforming cities, which involves teaching relevant urban content in innovative and multidisciplinary ways to fuel citizenship, stewardship, and sense of place. This report examines the approach and impact of Maximum City programming across our summer programs (in 2011, 2012, & 2016) and in-school Geography programming (Eureka Research, 2014-2015). The report outlines the Maximum City approach and pedagogy to citybuilding, as well as program overviews, feedback, and outcomes. Download a copy of the Research Report.